The defending Class 2A champions are on a roll. 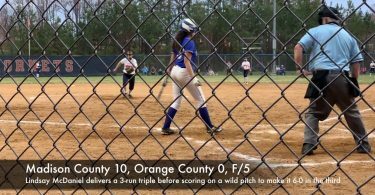 With three games sandwiched together between William Monroe and Orange County, Madison County softball is off to a hot start once again. On Tuesday it was a road trip to Stanardsville to wrap up a defacto rivalry week. With eight of its starting nine all getting hits and all nine starters reaching base, the Mountaineers were able to pick up a second win over William Monroe in just a five day stretch, holding off the Dragons 9-5 in a road win. It’s Madison’s third win in five days after an 18-day stretch of no games. Madison jumped on the board early. A leadoff double from Meadow Anderson got Madison going and a Hannah Johnson RBI single two at-bats later drew first blood. Sophia Adams and Emily Seale came up with back-to-back RBI singles with two outs to make it 3-0. Monroe answered with a leadoff triple from Lacey Beale in the bottom of the first and was plated soon after on a sacrifice fly from Alexis Wayland. The Mountaineers returned fire in the top of the second with a Morgan Clark double followed shortly by a sacrifice fly from Cassie Smith to make it 4-1. In the third, Madison staked a 6-1 lead with Seale delivering a 2-run sacrifice fly to score Jordan Shortridge and Bailey Smith. Monroe got back into the game in the bottom of the third. 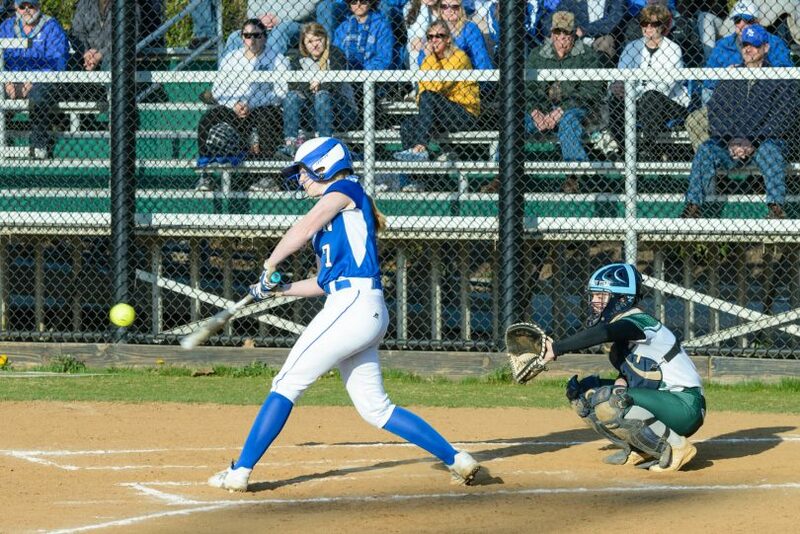 Kaitlyn Beale led the rally off after getting hit by a pitch and Wayland reaching on a single. Madison elected to walk Jessica Ford to load the bases with two outs. Morgan Lam made that cost with a 2-run double to make it a 3-run game. After a walk, Alexis Lam reached on an error to plate Ford and make it 6-4. In the fourth, Madison padded its lead with an RBI single from Logyn Estes, a bases loaded walk to Adams and Hannah Johnson scoring on a wild pitch to make it 8-4. Then in the sixth, Madison went up 9-4 when Estes reached on an error and scored after a walk and an error. Monroe responded with a Kaitlyn Napier single in the bottom of the sixth. She scored on an error two at-bats later to make it 9-5. Getting the start in the circle for Madison was Seale who pitched the first four innings and gave up just two hits while striking out five. 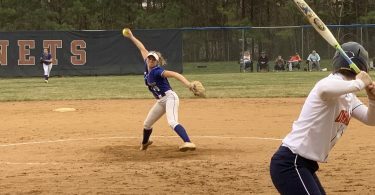 Estes closed out the game, throwing the last three innings and giving up just two hits and retiring the side in order in the bottom of the seventh. For Madison, Johnson was 2-for-3 with an RBI and two runs scored. Anderson was 2-for-4 with two runs scored. Seale was 1-for-2 with a walks and three RBI. Monroe’s Lacey Beale, and Napier were both 1-for-3. Morgan Lam was 1-for-4 with two RBI. Madison (6-0) will host Central Woodstock on Thursday while Monroe will travel (1-5) to Monticello on Tuesday.